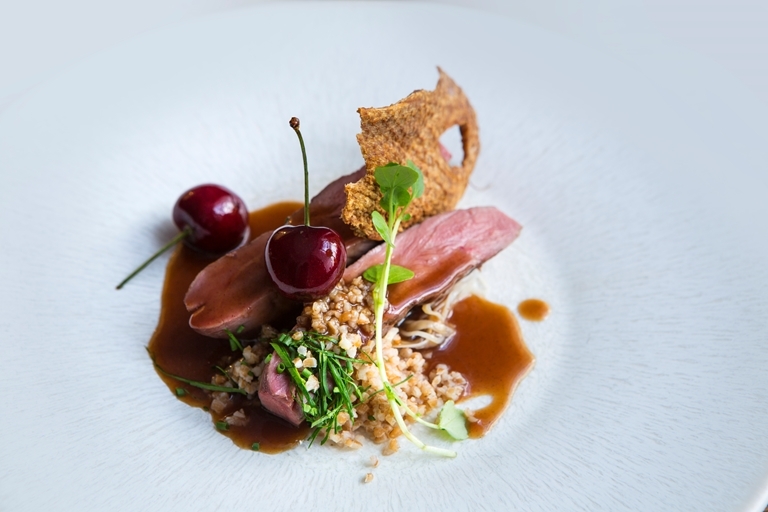 Taken from his 28º– 50º Wine Workshop and Kitchen menu, Agnar Sverrisson serves up perfectly cooked sous vide duck breast recipe with crispy duck skin, bulgur wheat and celeriac choucroute. To make the duck skin extra crispy, the chef uses a plancha and a heavy weight to press the skin. If you don't have a plancha, you can always use a large, flat frying pan instead, or roast in the oven between two trays.